Our aspiration is to promote learning that will enable insights from nature to inspire and build a better future. We are using insights from nature to develop our learning framework. 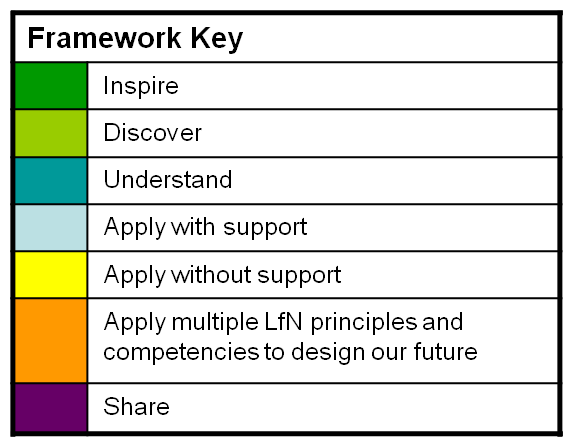 The LfN framework is a nested system with inspiration at the core. Inspiration is at the beginning of the learning journey which then progresses with discovery learning. There is an emphasis on activity to maintain the engagement of learners as the learning journey progresses to understanding then application. Learners will be encouraged to take part in more understanding activities or seek further inspiration and discovery before reaching a point of being able to apply multiple insights to a range of real world challenges. We hope all learners (not least the learners who work as teachers) will want to share Lessons from Nature with others. We also hope that all learners will want to continuously reconnect with nature to inspire another lifecycle of discovery learning. 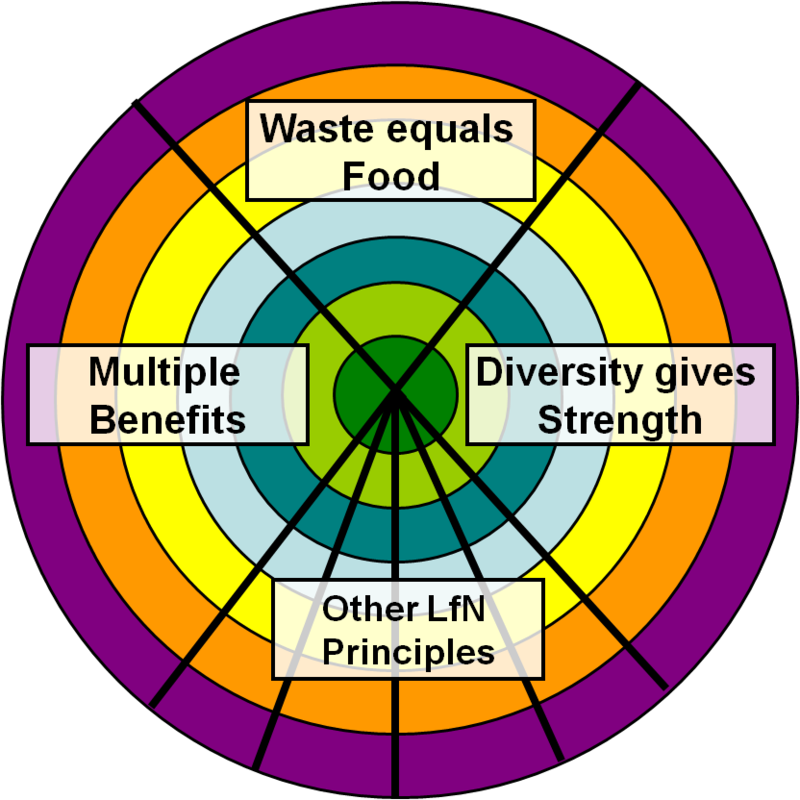 The learning modules are based upon insights from nature and their real world applications. The modules consist of interconnected activities (like ecosystems) that have multiple learning benefits. In the UK there is an introductory module and three core modules (each based on an insight from nature). Teachers are free to use the materials and ideas on this website to develop lesson plans that suit them and are encouraged to share these. In this way we expect the project to reflect nature as it begins to grow organically from a simple basis to levels of great complexity. The learning outcomes (displayed on the learning wall) will equip students for work in the post oil economy and rethink the way in which products, production systems, economies and the modern world is designed. To download the modules and learning resources including the learning wall visit the discover section of our website.